Ever since 1998 the music industry has seen a continuous fall in revenue, however the rise in Online Music Streaming seems to have saved it according to a study by Suisee. 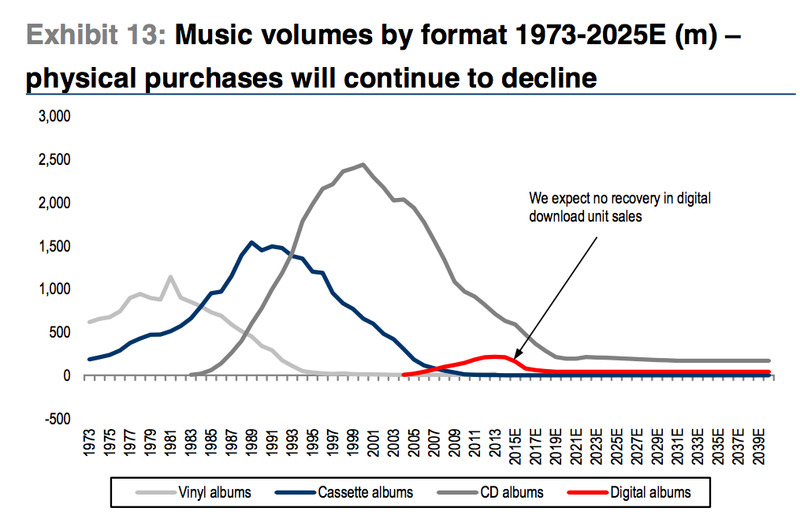 It predicts that by the end of the year the music industry’s revenue will be on the rise for the first time in 18 years. Credit Suisse, who carried out the study, said that they expect paid streaming’s revenue to quintuple between 2015 and 2020, which is down to the massive increase in people using services like Spotify and Apple Music. The report also predicts that Apple will eventually control 45% of the music streaming business after the success of their service “Apple Music”. There have been hundreds of reluctant Musicians who do not like the idea of music streaming, but it looks like they will have to pucker up as without the continued growth of the streaming industry, they could be in a lot of financial trouble. What does the transition towards Music Streaming mean for artists? Music streaming is not an option – it’s not avoidable and it comes with both pros and cons for artists: Each stream generates between €0.002 and €0.01 revenue for the artist. Not much at all, but hey: It’s easy money, you just upload your track and seconds later people can already listen to it. Real fans will still buy your CD if you ask them to and music streaming services helps you to grow your audience by chance.